Bro. Mike Combs and Evangelistic Team are working in the country of Mexico to reach remote villages that would otherwise not receive a witness. Part of their outreach is to distribute clothing to the needy. 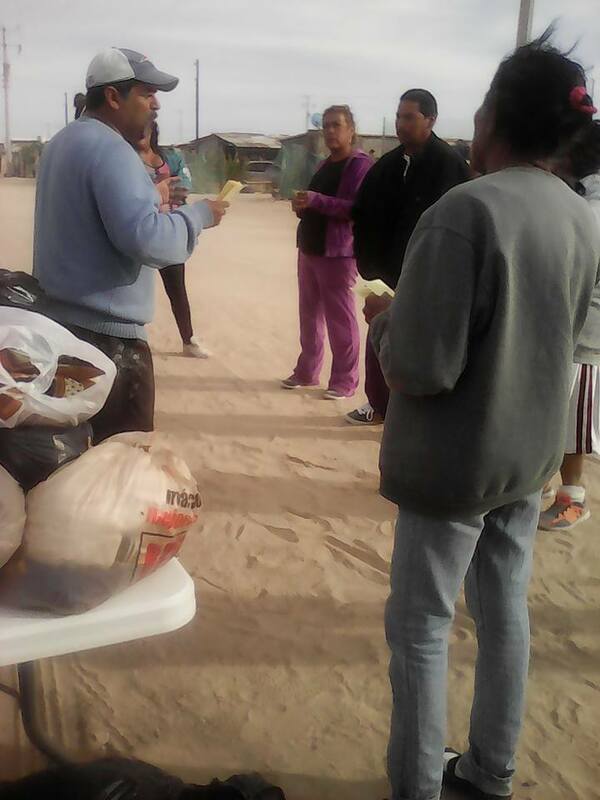 The mission team takes the opportunity to witness to these people and to hand out gospel tracts from Tracts, Inc. Let us follow their example. As we reach out to people to meet their physical needs, let us remember to be concerned about their spiritual state. Matthew 7:14 says, “…strait is the gate, and narrow is the way, which leadeth unto life, and few there be that find it.” Gospel tracts from Tracts, Inc., show the only way to heaven, through the death, burial, and resurrection of the Lord Jesus Christ. Help point someone to the right path today.